Coral Villa is an elegant holiday villa with a wooden pitched roof near Tsilivi (Planos) village. 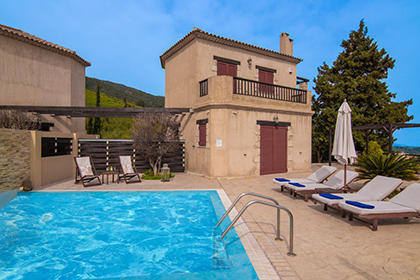 The villa comes with a distinctive and luxurious character that makes a wonderful holiday choice, and its swimming pool is bound to amaze you. 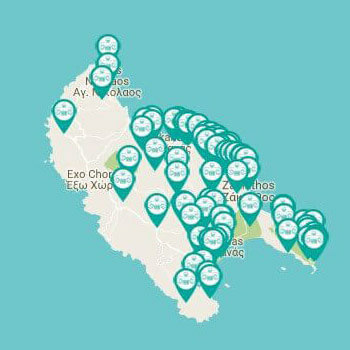 The holiday home is located right next to a lovely sandy beach, where you swim in the turquoise waters of the Ionian Sea. The traditionally designed and stylishly furnished Coral Villa is a memory to hold for a lifetime. 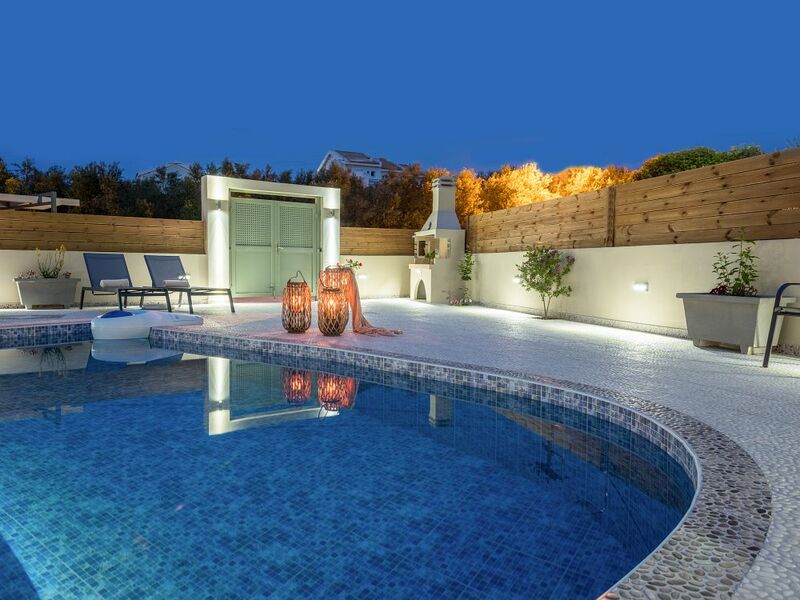 Coral Villa measures 70 square meters and can easily accommodate up to 4+2 guests in its spacious rooms. 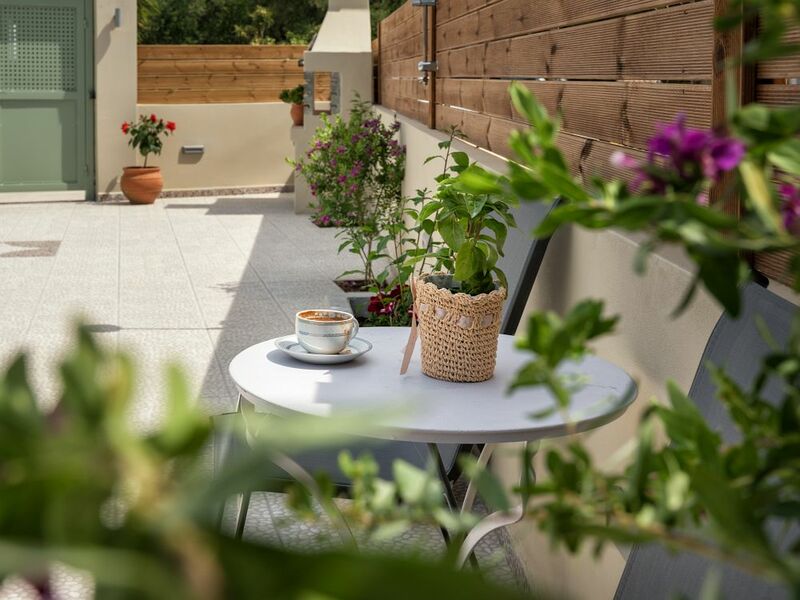 It offers two bedrooms, one on the ground floor, which is equipped with a queen-sized bed, and the other one in the attic, which apart from the two single beds which can be joined, has a large window with an amazing view of the surrounding olive trees and the sea. 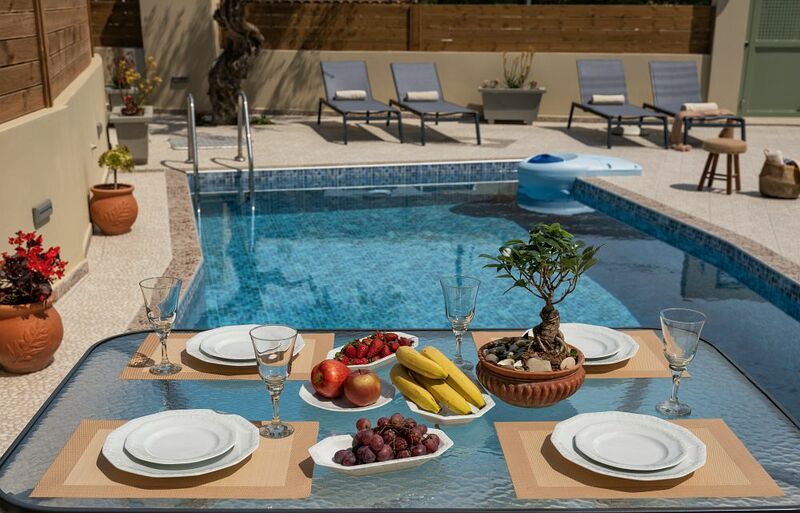 Coral Villa’s outdoor spaces are calm, private and relaxing, with many things that the visitor can do, such as swim in the 6m x 4m pool, prepare meals in the built BBQ and enjoy them in the outdoor dining area, or simply relax on a chaise longue and bathe in the Greek sun! Coral Villa offers, among many others, air-conditioning, free WiFi in all rooms, safe, washing machine, bath amenities, pool towels, iron and ironing board, as well as daily cleaning service. Other extra services such as car, motorcycle, yacht and bicycle rental, yoga, Pilates, washing-ironing service, home delivery of traditional food and breakfast/dinner, can be arranged upon request and with extra charge. Transport to and from the airport is free for guests that book Coral Villa for a time period exceeding 7 days. 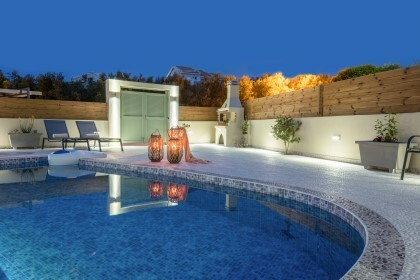 Coral Villa is located near the village and tourist resort of Planos, which is also known as Tsilivi. Coral Villa is near the island’s airport (9 km) and capital (7 km). The Tsilivi settlement features a multitude of restaurants, bars and coffee shops – not to mention, of course, the lovely sandy beach!